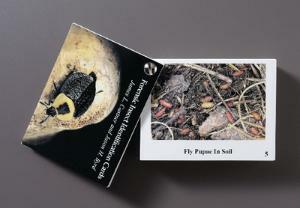 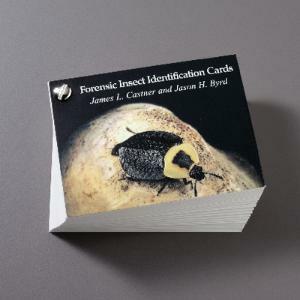 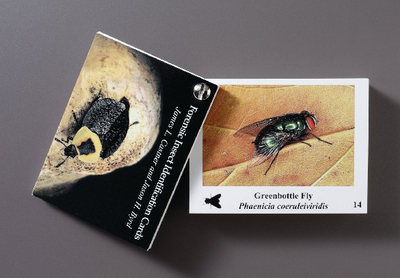 Learn about insects of forensic importance with this set of plastic coated cards. Each card features a color photograph of a forensically important insect on the front and information about the biology of the insect on the back. In addition, a life-sized silhouette of each insect is printed at the bottom of the card to give you a quick assessment of the actual size of the insect. Two cards also provides a table of contents and general collection/preservation information, while a removalbel fastener in the corner helps you keep the entire deck together. 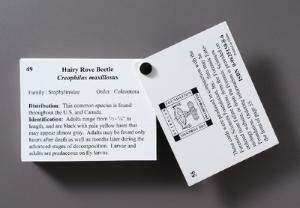 Size: 3" x 4". 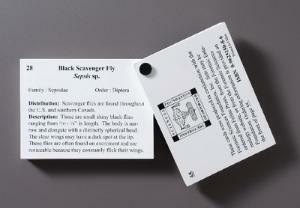 Deck of 52.